Tiwala Kids & Communities, Inc.
Tiwala Kids & Communities seeks to build strong foundations in the lives of poor children and families by imparting Biblical values, providing educational assistance, strengthening family relations, augmenting family income, and empowering communities. Our motivation in all we do is God’s love. We love God because He first loved us (1 John 4:19). We desire to love God with all of our heart, soul, mind and strength (Mark 12:30, 31). We want others to experience God’s love too, and that’s why we serve them. We teach the Bible because we believe that it is God’s inspired Word and is useful for teaching, rebuking, correcting, and training for righteousness (2 Timothy 3:16); it is the power of God for the salvation of people (Romans 1:16); it is powerful and active and able to judge the thoughts and attitudes of the heart (Hebrews 4:12). We want others to build their lives on God’s Word (Matthew 7:24). Our efforts in this ministry are fueled by our faith in God. We believe that He can do immeasurably more than we can ever hope or imagine (Ephesians 3:20). Faith pleases God and He rewards those who earnestly seek Him (Hebrews 11:6). The resources that we have are not our own. They are gifts from God. We seek to be faithful to the purpose for which resources are given and manage them in a manner that brings benefit to the people we serve. (James 1:17; Luke 16:11-12). We seek to strengthen the relationship within the body of Christ, so that God’s people will support each other (1 Cor. 12:12-27). We accept joint participation, shared goals, and healthy relationships to accomplish God’s purpose. 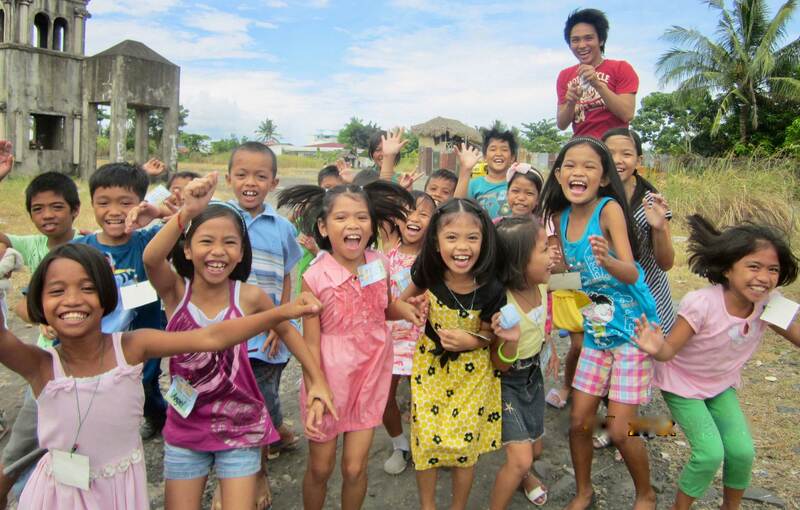 Tiwala Kids & Communities is a Christian charity in the Philippines, working among underprivileged children and families in the Bicol Region. Tiwala (meaning “trust” in Filipino) believes that one’s trust in God should serve as a primary foundation in one’s life. This deep and growing trust in God will enable the person to also grow in their “tiwala sa sarili” (trust in oneself) and “tiwala sa kapwa” (trust in others). In order to help poor children and families, Tiwala runs various educational programs for children and parents such as student enrichment classes, tutorials, scholarship grants, digital learning (digi-eskwela), expressive arts classes, and parenting seminars and sessions. Tiwala Kids & Communities was founded in March 2007 by Gail Narramore, a British South African missionary. Tiwala has successfully operated since then as a licensed and accredited non-profit NGO and Social Welfare Agency [SWA] under the Department of Social Welfare & Development [DSWD]. Tiwala is also under the umbrella of Links International UK (British Charity 327000) and Links International USA (501(c)3 Charity). We would like to congratulate our nineteen Tiwala scholars for successfully finishing the school year!